With Spring little under four weeks away (not that anyone’s counting..) it’s high time we ditched those doonas and began prepping our tresses for a new season of stylish possibilities. 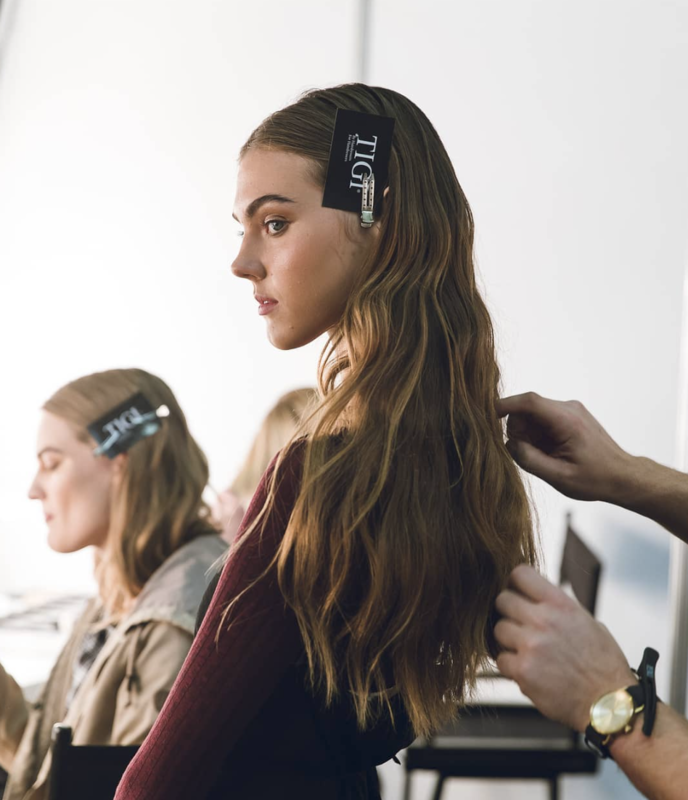 To help us out, we caught up with renowned Session Stylist and TIGI Brand Ambassador Michele McQuillan for the lowdown on Spring hair trends.. and that all too elusive seasonal strand transition. Michele.. take it away! As the weather heats up, so too should your hair regime. Just as you work for your bikini body, it’s essential you prep for that summer hair. Start by hydrating and conditioning those cuticles for luxurious and youthful locks. You want to get your hair feeling and moving naturally, so don’t skimp on the maintenance or product – this may take a few sessions. If your hair needs a little more attention, try using Tigi’s SOS Extreme Recovery Treatment to rehydrate. One of my favourite looks for Spring ’18 is a polished, natural wave. Although it looks simple, much prep work goes into achieving the final result. Everything is thought through; the condition, the colour and the cut; t’s all about the prep work! 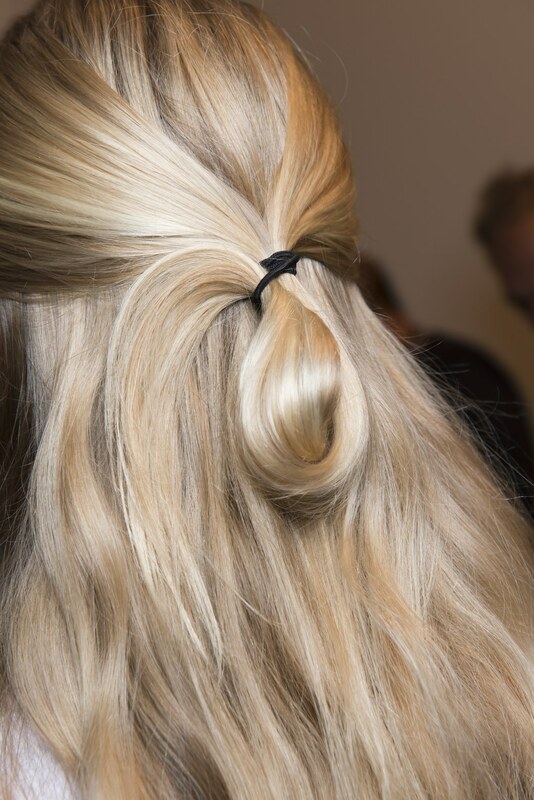 Once you have the base, you can play around by alternating half-up-half-down shapes and loose ponytails. This style is perfect for Spring, keeping you cool and fresh on those hot, sunny days. Spring is the perfect time to lock in moisture and restore your hair before Summer kicks in, so be sure to get on top of your regime before the weather heats up. 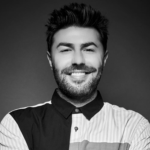 To get the look, start your prep work using Tigi’s Copyright range. Your stylist will advise on which treatment is best for your hair type. Spray through Queen for a Day on roots of damp hair and work throughout the front section and parting. If you have wavy hair, let your locks dry naturally. For curlier hair, blast through with a hairdryer before randomly tonging in differing sections around the head – being careful not to curl the ends. (This will make the style too glamorous). 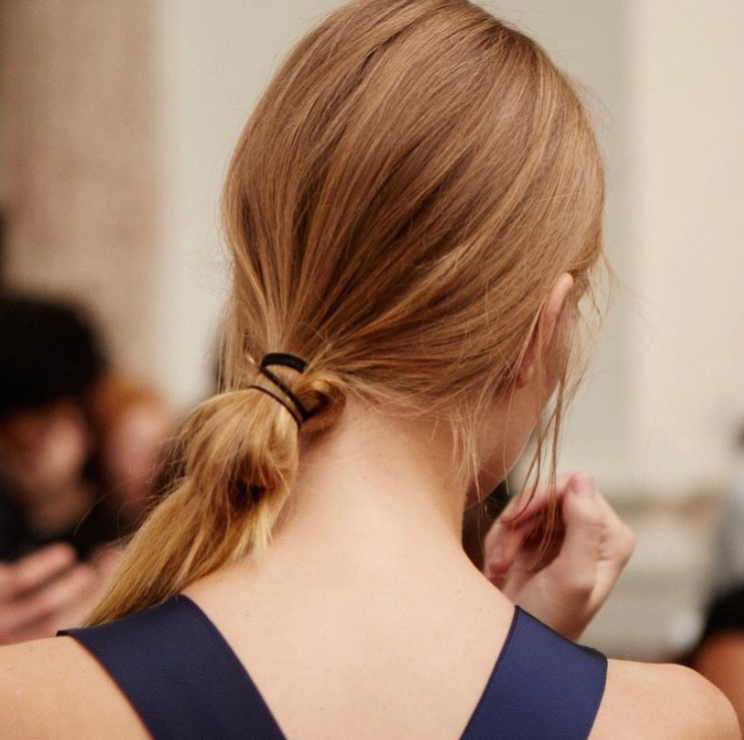 Spray a small amount of Headrush on the ends and style as if you’re creating a ponytail – but only pull the hair, half way through the band. Be sure to invest in your hair colour, remembering that less is more! Try out a gentle Balayage or subtle highlights throughout your part and the front of your hair. If you’re covering greys, remember that you need to replenish elasticity and hydration. Always apply a care treatment after colouring to protect tresses from the chemicals and external aggressors.